25% Super Early Bird Discount until Friday May 31st 2019. Head of Quantitative Research, Bloomberg L.P.
Bruno Dupire: Head of Quantitative Research, Bloomberg L.P.
Bruno Dupire is head of Quantitative Research at Bloomberg L.P., which he joined in 2004. Prior to this assignment in New York, he has headed the Derivatives Research teams at Société Générale, Paribas Capital Markets and Nikko Financial Products where he was a Managing Director. 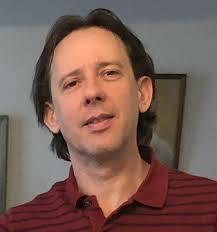 He is best known for having pioneered the widely used Local Volatility model (simplest extension of the Black-Scholes-Merton model to fit all option prices) in 1993 and the Functional Itô Calculus (framework for path dependency) in 2009. He is a Fellow and Adjunct Professor at NYU and he is in the Risk magazine “Hall of Fame”. He is the recipient of the 2006 “Cutting edge research” award of Wilmott Magazine and of the Risk Magazine “Lifetime Achievement” award for 2008. 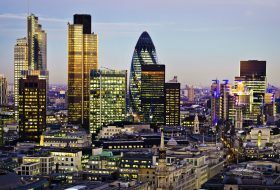 What is the current state of utilisation of machine learning in finance? What are the distinct features of machine learning problems in finance compared to other industries? What are the best practices to overcome these difficulties? What’s the evolution of a team using machine learning in terms of day to day operations? What is a typical front office ‘Quant’ skillset going to look like in three to five years time? How do we deal with model risk in machine learning case? How is machine learning expected to be regulated? What applications can you list among its successes? How much value is it adding over and above the “classical” techniques such as linear regression, convex optimisation, etc.? Do you see high-performance computing (HPC) as a major enabler of machine learning? What advances in HPC have caused the most progress? What do you see as the most important machine learning techniques for the future? What are the main pitfalls of using Machine Learning currently in trading strategies? What new insights can Machine Learning offer into the analysis of financial time series? Discuss the potential of Deep Learning in algorithmic trading? Do you think machine learning and HPC will transform finance 5-10 years from now? If so, how do you envisage this transformation? Can you anticipate any pitfalls that we should watch out for. 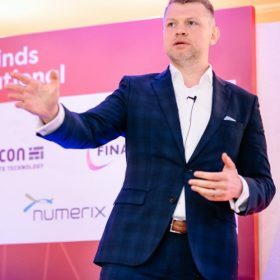 In his role as Managing Director and Head of Data Analytics at Standard Chartered Bank, Alexei is responsible for providing data analytics services to Financial Markets sales and trading. He joined Standard Chartered Bank in 2010 from Barclays Capital where he managed a model development team within Credit Risk Analytics. Prior to joining Barclays Capital in 2004, he was a senior quantitative analyst at Dresdner Bank in Frankfurt. 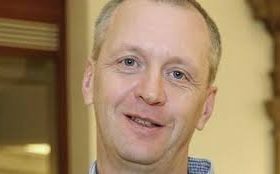 Alexei holds MSc in Theoretical Nuclear Physics from the University of Kiev and PhD in Mathematical Physics from the Institute for Mathematics, National Academy of Sciences of Ukraine. Tony Guida is Executive Director – Senior Quant Research at RAM Active Investments. Before this, Tony was a Senior Investment Manager in quantitative equity at the investment manager of a major UK pension fund in London, where he managed multifactor systematic equity portfolios. 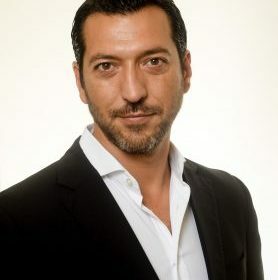 During his career, he held such positions as senior consultant for smart beta and risk allocation at EDHEC RISK Scientific Beta and senior research and investment committee for Minimum Variance Strategies, where he led the factor investing research group for institutional clients, and a regular speaker at quant conferences. Artur Sepp is Head of Research at Quantica Capital AG in Zurich focusing on systematic data-driven trading strategies. Artur has extensive experience working as a Quantitative Strategist in leading roles since 2006. Prior to joining Quantica, Artur worked at Julius Baer in Zurich developing algorithmic solutions and strategies for the wealth management and portfolio advisory. Before, Artur worked as a front office quant strategist for equity and credit derivatives trading at Bank of America Merrill Lynch in London and Merrill Lynch in New York. 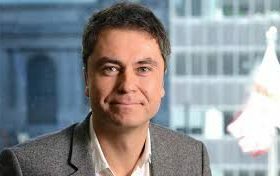 Artur has a PhD in Statistics, an MSc in Industrial Engineering from Northwestern University, and a BA in Mathematical Economics. 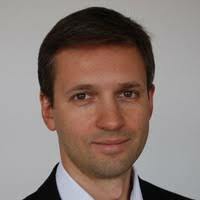 Artur’s research area and expertise are on econometric data analysis, machine learning, and computational methods with their applications for quantitative trading strategies and asset allocation. He is the author and co-author of several research articles on quantitative finance published in leading journals and he is known for his contributions to stochastic volatility and credit risk modelling. 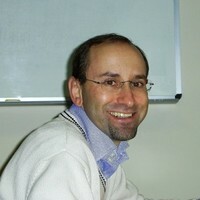 Artur is a member of the editorial board of the Journal of Computational Finance. Blanka is a Honorary Lecturer in the Department of Mathematics at Imperial College London and a Lecturer at King’s College London. Her research interests are in the area of Stochastic Analysis and Mathematical Finance. Her interests include asymptotic and numerical methods for option pricing, smile asymptotics for local- and stochastic volatility models (the SABR model and fractional volatility models in particular), Laplace methods on Wiener space and heat kernel expansions. 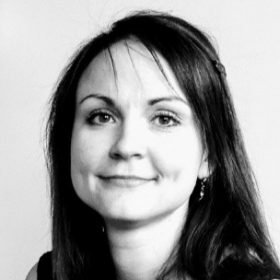 Blanka completed her PhD in Financial Mathematics at ETHZürich with Josef Teichmann and Johannes Muhle-Karbe. She holds a Diploma in Mathematics from the University of Bonn and an MSc in Economics from the University of Hong Kong. We present a consistent neural network based calibration method for a number of volatility models-including the rough volatility family-that performs the calibration task within a few milliseconds for the full implied volatility surface. The aim of neural networks in this work is an off-line approximation of complex pricing functions, which are difficult to represent or time-consuming to evaluate by other means. We highlight how this perspective opens new horizons for quantitative modelling: The calibration bottleneck posed by a slow pricing of derivative contracts is lifted. This brings several model families (such as rough volatility models) within the scope of applicability in industry practice. As customary for machine learning, the form in which information from available data is extracted and stored is crucial for network performance. With this in mind we discuss how our approach addresses the usual challenges of machine learning solutions in a financial context (availability of training data, interpretability of results for regulators, control over generalisation errors). We present specific architectures for price approximation and calibration and optimize these with respect different objectives regarding accuracy, speed and robustness. We also find that including the intermediate step of learning pricing functions of (classical or rough) models before calibration significantly improves network performance compared to direct calibration to data. The Gala Dinner is complimentary for all conference delegates. 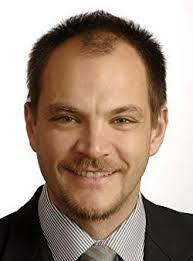 Jesper Andreasen is head of Quantitative Research at Saxo Bank in Copenhagen. Jesper has previously held senior positions in the quantitative research departments of Danske Bank, Bank of America, Nordea, and General Re Financial Products. Jesper’s recent research focusses on efficient and accurate methods for computing credit and market risk. Jesper holds a PhD in mathematical finance from Aarhus University, Denmark. He received Risk Magazine’s Quant of the Year awards in 2001 and 2012, joint with Leif Andersen and Brian Huge respectively, and is an honorary professor of mathematical finance at Copenhagen University. 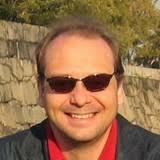 Alexandre Antonov received his PhD degree from the Landau Institute for Theoretical Physics in 1997. He worked for Numerix during 1998-2017 and recently he has joined Standard Chartered bank in London as a director. His activity is concentrated on modeling and numerical methods for interest rates, cross currency, hybrid, credit and CVA/FVA/MVA. AA is a published author for multiple publications in mathematical finance and a frequent speaker at financial conferences. He has received a Quant of Year Award of Risk magazine in 2016. Peter Jäckel received his DPhil from Oxford University in 1995. In 1997, he moved into quantitative analysis and financial modelling when he joined Nikko Securities. Following that he worked as a quantitative analyst at NatWest, Commerzbank Securities, ABN AMRO, and now VTB Capital where he is the Deputy Head of Quantitative Research. Peter is the author of “Monte Carlo Methods in Finance” published by John Wiley & Sons. Some of his publications can be found at WWW.JAECKEL.ORG. Over the last 20 years, Marc has worked in various areas of quantitative finance. Marc’s career includes Head of Quantitative Research at OpenGamma, Global Head of Interest Rate Modeling for Dexia Group, Head of Quantitative Research and Deputy Head of Interest Rate Trading at the Bank for International Settlements (BIS) and Deputy Head of Treasury Risk also at BIS. Marc’s research focuses on interest rate modeling and risk management. More recently he focused his attention to market infrastructure (CCP and bilateral margin, exchange traded product design, regulatory costs). He publishes on a regular basis in international finance journals, and is a frequent speaker at academic and practitioner conferences. He recently authored two books: The multi-curve framework: foundation, evolution, implementation and Algorithmic Differentiation in Finance Explained. Marc holds a PhD in Mathematics from the University of Louvain, Belgium. 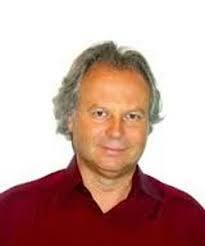 He has been research scientist and university lecturer in Belgium, Italy, Chile and the United Kingdom. Dominique Bang received his PhD from Observatory of Paris (2002) in the field of ‘Mathematical Methods applied to Celestial Mechanics’. He moved into quantitative finance in 2006. Dominique has since been working in Bank Of America Merrill Lynch in the Interest Rates Quantitative Team. As a Director, he is now more focusing on Interest Rates Vanilla and Quasi-Vanilla products. Head of Quant Analytics at Bloomberg L.P.
Fabio Mercurio: Head of Quant Analytics at Bloomberg L.P.
Fabio is global head of Quantitative Analytics at Bloomberg LP, New York. His team is responsible for the research on and implementation of cross-asset analytics for derivatives pricing, XVA valuations and credit and risk management. Fabio is also adjunct professor at NYU. He has jointly authored the book ‘Interest rate models: theory and practice’ and published extensively in books and international journals, including 16 cutting-edge articles in Risk Magazine. Fabio holds a BSc in Applied Mathematics from the University of Padua, Italy, and a PhD in Mathematical Finance from the Erasmus University of Rotterdam, The Netherlands. Marco Bianchetti joined the Market Risk Management area of Intesa Marco joined the Financial and Market Risk Management area of Intesa Sanpaolo in 2008. 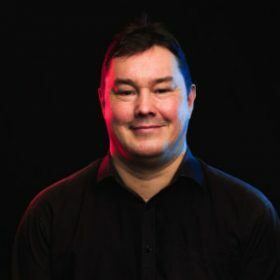 His work covers pricing and risk management of financial instruments across all asset classes, with a focus on new products development, model validation, model risk management, interest rate modelling, funding and counterparty risk, fair and prudent valuation, applications of Quasi Monte Carlo in finance. He is in charge of the global Fair Value Policy of Intesa Sanpaolo group since Nov. 2015. Previously he worked for 8 years in the front office Financial Engineering area of Banca Caboto (now Banca IMI), developing pricing models and applications for interest rate and inflation trading desks. 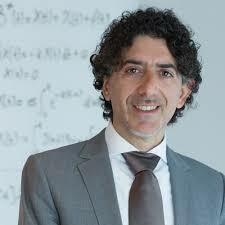 He is adjunct professor of Interest Rate Models at University of Bologna since 2015, and a frequent speaker at international conferences and trainings in quantitative finance. He holds a M.Sc. in theoretical nuclear physics and a Ph.D. in theoretical condensed matter physics. When two colleagues attend the 3rd goes free!